The University of Toronto’s David Strangway, who led U of T as president from 1983-1984, died yesterday. He was 82. 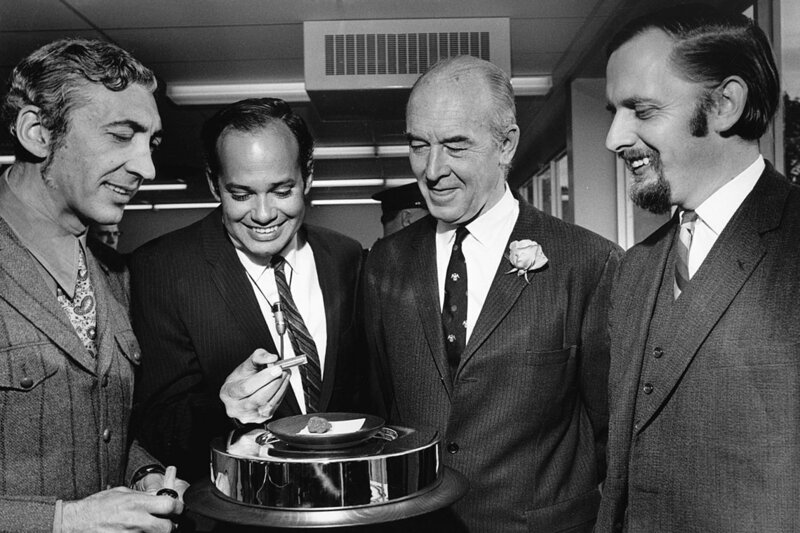 The only person to serve as president of both U of T and the University of British Columbia, Strangway was also the chief geophysicist for NASA in the 1970s, leading the analysis of moon rocks?collected by Apollo astronauts. “David was an extraordinary human being whose inspired leadership made a profound and lasting impact in Canada and around the world,” President Meric Gertler said. “We join our colleagues at UBC in mourning the loss of this remarkable man, and we extend our condolences to David’s wife, Alice, his daughters, Susan and Trish, and his son, Richard.” ? ?? Former President David Strangway (right) with U of T President Meric Gertler (middle) and?Chancellor Michael Wilson (left) ? At U of T, Strangway served in many key academic leadership roles. He was chair of the geology department, academic vice-president and provost before eventually becoming president. His family?connections with the university were also deep and enduring. ?Strangway?earned his bachelor’s, master’s and PhD degrees at the University of Toronto and his parents, Walter Strangway and Alice (Skinner) Strangway, also graduated from U of T – as his did his wife and son. Today, Strangway's grandson, Tyrone, already a U of T?alumnus, is pursuing a PhD at the university. “David Strangway was an outstanding scientist, excellent academic leader and relentless innovator,” said President Emeritus David Naylor, who served as U of T president from 2005 to 2013. “Few if any alumni of the university have worn as many hats or made such diverse contributions to research and education. “He never stopped trying to make Canada and the world better.” ? ? While president of U of T, Strangway appointed the university’s first status of women officer and provided funding for research on the history of women at the university. ? It was while Strangway was at U of T's Erindale College, now U of T Mississauga, that he headed geophysical research for NASA. As an expert in the magnetic properties of minerals, he?analyzed?moon rocks for NASA, which were on display for the public. On one occasion, 3,000 people lined up to see the samples of moon rocks.? In 1972, he was awarded the?NASA Exceptional Scientific Achievement Medal?for his scientific contribution to NASA.? He also served as president of the?Canada Foundation for Innovation, an independent corporation created by the?Government of Canada?to fund research infrastructure from 1998 to 2004.?